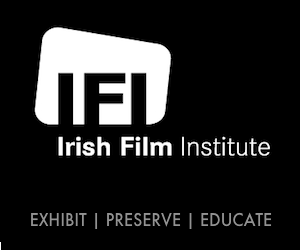 The Irish Film Institute will host a panel discussion on architecture, city planning and environmental policy at 4pm on Sunday, May 7th. The IFI are delighted to welcome guest speakers, Councillor Ciarán Cuffe, Dublin City Councillor for the North Inner City, Natalie de Róiste, City Organiser Jane’s Walk Dublin, town planner and architectural historian and Alan Mee, Lecturer in urban design, School of Architecture, Planning and Environmental Policy, UCD to participate in a panel discussion following the screening of Citizen Jane: Battle for the City at 4pm on Sunday, May 7th. When journalist, author and activist Jane Jacobs wrote her seminal work, The Death and Life of Great American Cities in 1961, she helped to change the way we consider urban living; viewing cities as holistic networks of people functioning as distinct yet connected communities. Diametrically opposed to her thinking was Robert Moses, the New York construction magnate who transformed the city after World War II by gutting its community-centric, poorer neighbourhoods to introduce monolithic rows of apartments. Focusing on the time in the 1960s when they clashed over Moses’ plan to cut expressways through Greenwich Village, Soho and Little Italy. Matt Tyrnauer’s documentary presents these two figures as antagonists locked in a heated ideological battle for the future of New York. Tickets for Citizen Jane and the panel discussion are on sale online or from the IFI Box Office on 01 679 3477. Tickets for all other screenings of Citizen Jane will go on sale Tuesday, 2nd May. Also screening at the IFI is Woody Allen’s romantic classic Manhattan, a look back to the golden days of New York City, one that also affords it a prominence and timelessness that no other film has replicated since.